If Harley and Davidson had never teamed up, the world of motorcycles would never be where it is today. And how funny would Abbott have been without Costello? Would we look at ice cream the same if Ben and Jerry's paths hadn't crossed? Along with these classic partnerships, there's a good chance that one day we'll look back and realize that our taste buds will forever be grateful that Betty Crocker and HERSHEY'S made the choice to team up and create Betty Crocker HERSHEY'S Desserts. A decadent collection of frosting, cupcake mixes and cookie mixes, Betty Crocker HERSHEY'S Desserts provide the perfect way to incorporate the HERSHEY'S flavors that we all know and love (e.g. Almond Joy and Health) in with the quality, ease and convenience of Betty Crocker mixes. Yes, please! While this lineup of delectable treats has already been on the market, recently three new products were added to the lineup and we were more than ready to give two of them a try. HERSHEY'S S'mores Dessert Bars and REESE'S Dessert Bars? Right out of the box and requiring only a few additional ingredients? Considering I was hosting a group of fellow moms over and wanted to provide a variety of items to snack on, these were the perfect addition to the menu. First up, the HERSHEY'S S'mores Dessert Bars, which only required mixing up the graham cracker crust, layering it with the chocolate/marshmallow, and popping the entire thing in the oven. Although it was extremely difficult for me to not dig right into the pan just from the luxurious smell, I managed to leave most of these brownie dessert bars on the plate until my guests arrived. 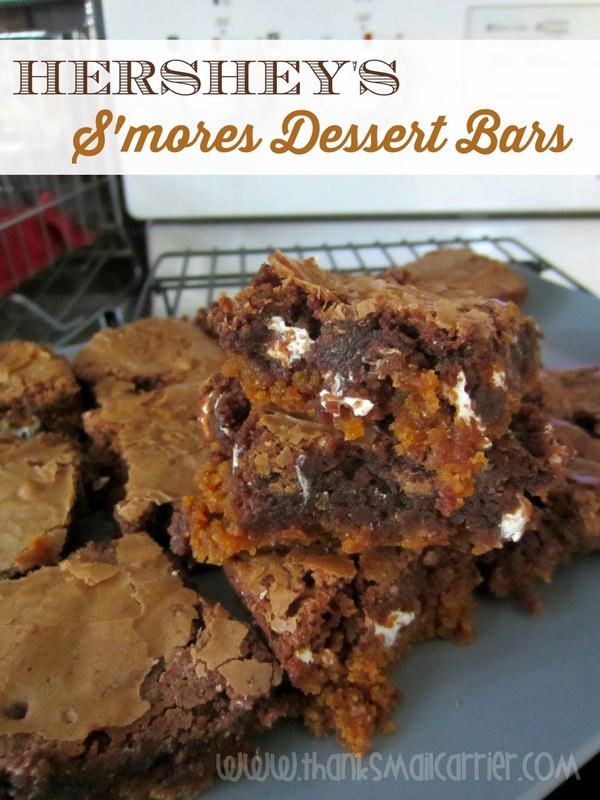 While the overall appearance only resembles a gooey chocolately pile, these are definitely a delicious dessert treat that received rave reviews! I love the way that the chocolate, marshmallow and graham cracker all work so well together and that these bars taste as though they took a lot of time and effort to make! At the same time that my friends were expressing their enjoyment for the heavenly taste of the HERSHEY'S S'mores Dessert Bars, the REESE'S Dessert Bars were delighting every peanut butter lover that was there. 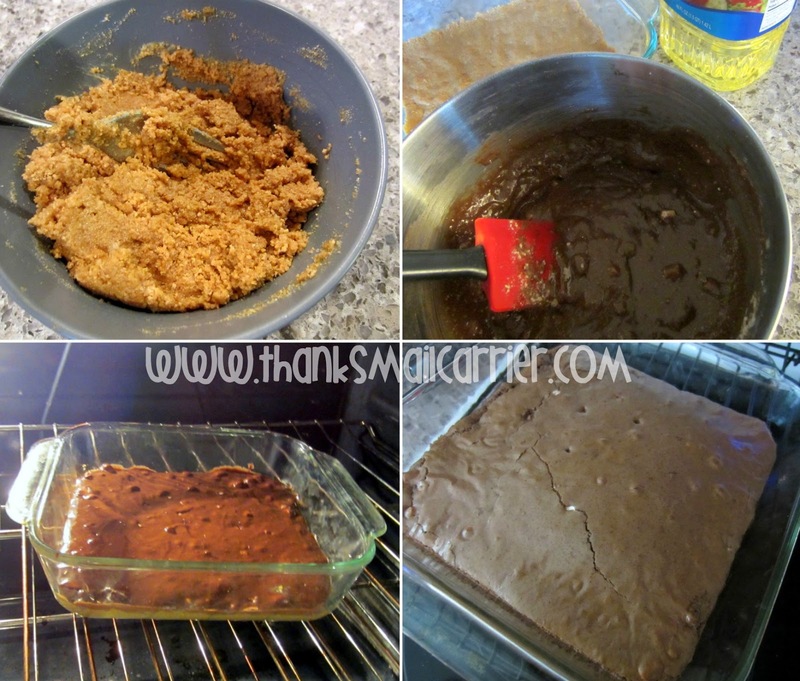 Similar to the s'mores, these REESE'S bars were extremely easy to make, as each layer was packaged separately and only needed to be mixed and laid right into the pan. I did accidentally add a little too much milk to the chocolate layer on the top (I was probably too busy eating the S'mores Dessert Bars and not paying close enough attention) so it ended up more like chocolate sauce instead of frosting, but in terms of taste, it didn't matter. 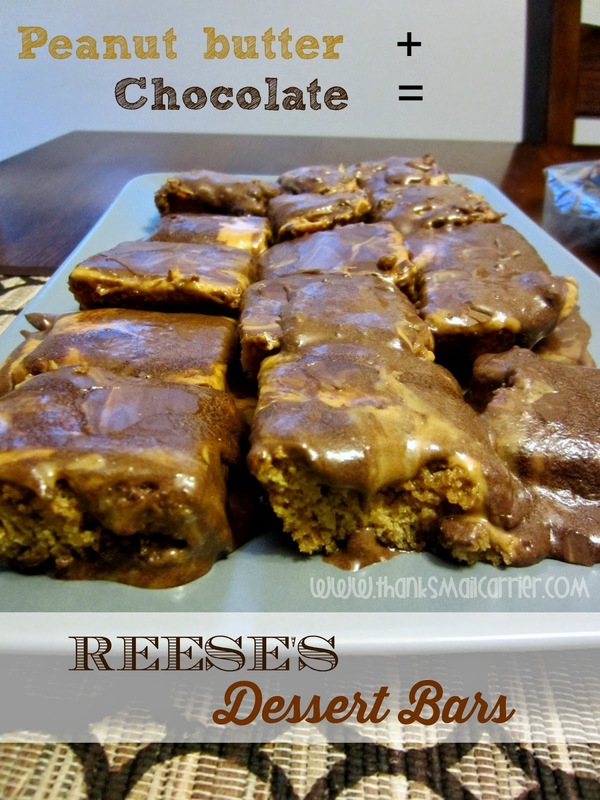 If you're a fan of REESE'S, you've got to try these yummy bars! 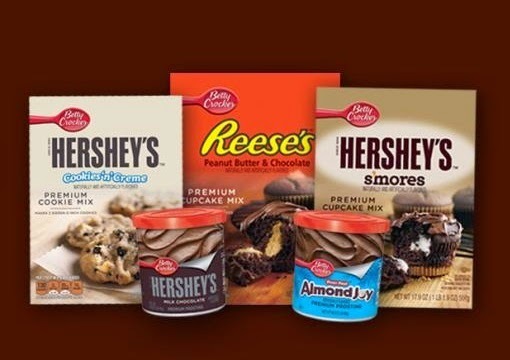 If you're looking for a decadent dessert without a lot of fuss, be on the lookout for Betty Crocker HERSHEY'S Desserts – these sweet treats are available now at Target and make bringing HERSHEY'S many varieties to your table quick and easy! Find out more about all of the savory offerings that Betty Crocker and HERSHEY'S have teamed up on by visiting BettyCrocker.com and connecting with them on Facebook and Twitter. OMG these look delicious! I'm going to have to look at the store when I go today! I don't like chocolate (lie). These look yummy. Thanks. I'm really in a mood for some of these. Need to put it on my shopping list. Smores are actually the best things to eat in this world. I'm going to buy this asap. Oh my can't wait to try this! 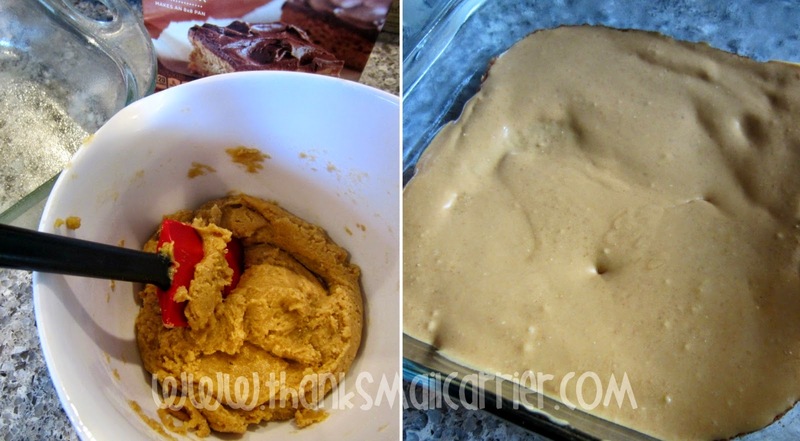 Sounds delish, heading to the store tomorrow so I can surprise my family at dinner tommorrow. Thanks for sharing. Reeses peanut butter cups are my favorite candy so I know I'd like these. 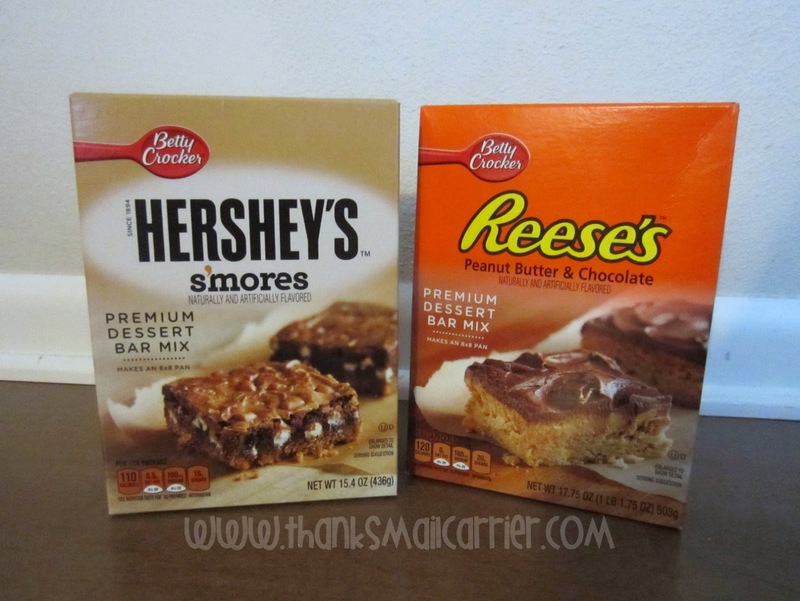 I am so, so grateful that Betty Crocker and HERSHEY'S made the choice to team up. Thanks for sharing! Those look so good. I really like Hersheys products.